Bangladesh has been moving forward with strong economic indicators such as USD 250 billion GDP registering a growth rate of 7.1% in 2017, USD 34+ billion exports, USD 2.6 billion FDI among others. Compared to regional peers such as India, whose GDP growth has fluctuated, Bangladesh has shown a steady growth rate of 6+% in the last decade. The Middle and Affluent (MAC) population is set to increase to 34 million in 33 cities by 2025, according to estimates by BCG. The strategic location of Bangladesh, along with involvement in mega initiatives such as OBOR and BBIN, will provide numerous economic opportunities. Power and energy sector is on the rise, according to the LightCastle Business Confidence Index, showing the highest confidence level of +83.28 on a scale of -100 to +100. As the economy grows rapidly and MAC population increases, so does demand for power and energy, predicted to reach 80,000MW by 2040. To meet the fast growth in demand, the installed power generation capacities need to be increased to 24GW and 39GW by 2021 and 2030 respectively. To achieve this, a substantial amount of investment would be needed across the entire power sector, around USD 16 billion between 2016-2021. The GoB has shown a strong commitment to attract private sector investments and provide an investment-friendly environment by providing various tax and other incentives. Owing to the opportunities exhibited by the power and energy sector, two power sector projects – 150MW HFO plant and 350-500 MW natural gas plant, are being proposed by Imagine Resources. The LightCastle Business Confidence Index 2017-18 has found the confidence of the Power & Energy sector to be the highest at +83.28 on a scale of -100 to +100. Power & Energy sector is on the rise with the establishment of multiple power plants. Therefore, higher employment generation is predicted. In the study, power sector leaders maintained that prices will go up due to a pass-through effect from natural gas and oil prices globally. A significant amount of investment across the entire sector is required to meet increasing demand. A number of PPP and G2G based investments are running for mitigating the current demand-supply deficit in power & energy. The government’s Power Division, Ministry of Power, Energy & Mineral Resources (MPEMR) are the apex governing bodies for the power and energy sector of the country. Current energy mix of Bangladesh consists primarily of natural gas, oil and coal. Influenced by rapid economic growth along with a growing MAC population, demand for electricity has been growing at a fast pace. In the mid to long-term, to meet the fast growth in demand, the installed power generation capacities need to be increased to 24GW and 39GW by 2021 and 2030 respectively. To achieve this, a substantial amount of investment would be needed across the entire power sector, around USD 16 billion between 2016-2021. 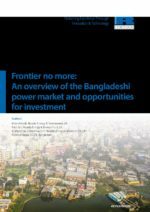 The Renewable Energy Policy of Bangladesh aims to increase the share of renewable energy to at least 10% by 2021. A significant portion of the planned renewable energy capacity is expected to be generated by grid-connected solar parks where the private sector is likely to be the main investor. The GoB has shown a strong commitment to attract private sector investments and provide an investment-friendly environment. Exemption of corporate income tax for a period of 15 years. Tax exemption on capital gains from transfer of shares by foreign investors. Exemption of customs duties, VAT and surcharges on plant, equipment and spare parts. Avoidance of double taxation through bilateral agreements. Easy repatriation of equity along with dividends. No restrictions work permit issuance to project-related foreign nationals. Exemption from income tax for foreign lenders to such projects. Remittance of up to 50% of salary of the foreigners employed in Bangladesh. 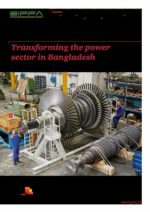 Power Sector Master Plan(PSMP): Since the energy source of the country heavily depends on natural gas; Bangladesh government took a target to diversify energy resources due to the anticipated decrease in the production volume of natural gas. This plan led the government to think about other resources and inviting more private investment in this area. Government’s Positive Attitude about Private Investment: GoB has shown commitment to create an investment friendly ecosystem by providing major financial incentives for IPPs (Independent Power Producer) which includes corporate income tax, custom duties plant purchases and capital gains tax exemption, easy repatriation of equity along with dividends etc. Establishment of Energy Security Authority: The growing popularity of mobile financial service is expected to become one of the main strengths of the industry and will bring in more revenue for the service providers. Opportunities of Renewable Energy: Bangladesh has high opportunities in solar resources with annual irradiation of 1600 kWH and 1900 kWH per square meter. Added with the fall in solar panel prices, this might turn out to be an attractive private sector investment opportunity. Looking for more extensive data? Browse through our free report library.